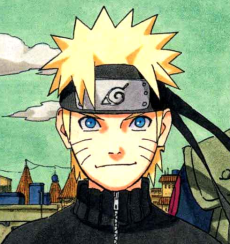 Born in Konohagakure, a ninja village hidden in the leaves, Naruto Uzumaki was destined for greatness. When born, a powerful nine-tailed demon fox attacked his village. With a wave of its tail, the demon fox could raise tsunamis and shatter mountains. In a valiant attempt to save the village from destruction, the Fourth Hokage and leader of the Hidden Leaf Village sealed the demon fox within Naruto's newborn body. This was his final act, for the battle with the fox cost him his life. Despite the Fourth Hokage's dying wish that Naruto be viewed as a hero for serving as the container for the demon (a Jinchuuriki) the adult villagers of Konoha harbored a fierce hatred for him, with many believing that Naruto and the demon were one and the same. Cast aside as an inhuman monster, Naruto was outcast and ostracised by the villagers for reasons he could not understand. The children his age could only ever follow their parents' example; and they too came to harbour a fierce hatred for Naruto. Naruto eventually came to accept that he would live and die alone, and his external response was to perform harmless pranks on the village. Coy, raffish and full of life, Naruto soon came to display a somewhat unexpected determination to succeed and be accepted by others. Upon being assigned to "Team Seven" as a Genin-ranked ninja, his true potential soon became outwardly apparent. Vowing to become Hokage one day and using his will to never give in, Naruto saves the village from invading forces and earns his acceptance. Eventually, Naruto learns to harness the power of the Demon Fox sealed inside him to perform acts of strength far beyond what any other human is capable of. In all, Naruto is an admirable character whose sheer determination to succeed despite the odds, earns him respect and devotion from his fellow villagers.